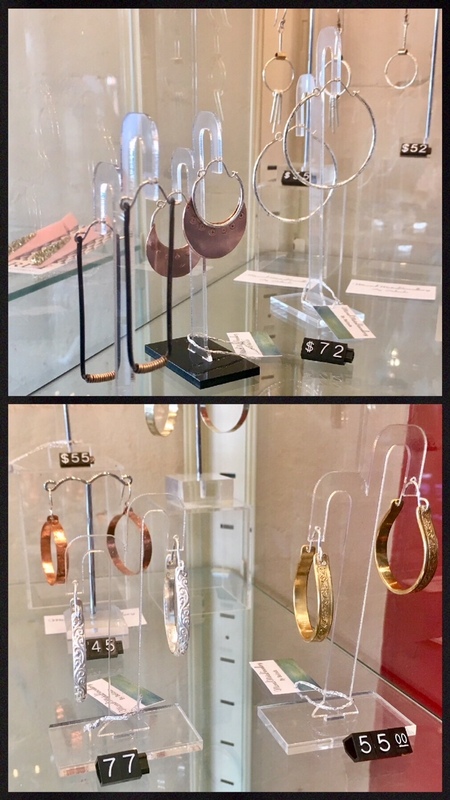 Beautiful handmade jewellery by Adelaide based contemporary silversmith Belinda Sims from Mixed Metal Jewellery. Belinda uses a selection of metals including STG, Copper and Brass to create her very wearable jewellery. Seen here are a selection of hoop earrings custom made for Sprinkle Emporium.